App Builder Appse: We have every feature for your small business, everything and everything needs a mobile app. This is something that we often hear people saying, but how true is it actually? Does every small business really need an app, or is it really just a trend? As a small business owner, it is natural to be lured by the idea of building an app for your business. There are some clear advantages of adding a business app to your strategy, but how do you know that all these advantages will work for your business’s advantage as well. In this post we are going to talk about all the advantages that a small business can enjoy when they build an app for themselves and whether or not your business is ready now, to get an app for their business. Let’s take a look at all the advantages that a small business can enjoy when they build an app of their own. The customers who are using their mobile phones to interact with your business would have a better user experience on an app, which are a lot faster than the mobile websites. In case you only have a mobile website, your customers would have to remember the URL and enter it, and then wait for the website to load. The time this entire process would take, depends on the network quality. However, if the customer has your app installed on their device, it would only take a second for the app to display all your content even when your device is online. “Out of sight, Out of mind!” an old adage that stands true even today! When your customers install your app on their smartphones, they are reminded of your existence every time they look at their phones. How many times do you think they are going to look at their phone in a day? Everyone is an addict today – to technology and especially the smartphones. No matter how many apps your customers might have on their phone, if they like yours, they are going to download it for sure and use it. With a business app of your own, you are getting the customers hooked to all your offerings, especially your brand. In the absence of an app, most businesses reach out to prospects through SMS or one of the other traditional media which can take up a big chunk of your marketing budget. If you have an app, however, you can employ something as obtrusive as a push notification and market your offerings for a fraction of the cost. When you offer greater value to your customers, the chances of them digging deeper into their pockets are higher. This value can be in the form of loyalty points, members-only deal, or other such exclusive offers through your app, which can help you get new customers and keep them coming back to you for more! A mobile app increases the brand awareness among the customers, helping them communicate with your brand. This communication further increases the users’ trust in them, opening them up to future sales pitch from you and increasing chances of them becoming loyal to you. Strong customer relationships form the core of any good business and a mobile app is an effective way to get just that. The issue of time difference is resolved, the customers can reach you anytime, get to know your brand, and they do not have to wait for your business hours for that. Mobile apps are a proven tool of increasing customer satisfaction and when the customers are satisfied, they are going to spend more money as well. The app experience is a whole lot more satisfying as compared to any other customer service experiences hence the profits that you earn are boosted as well. There are thousands of other businesses who are fighting for your customers’ attention and you are competing with them. When you have a mobile app to communicate with your customers and for the purpose of marketing, you are going to get an edge over your competitors. Cultivating customer loyalty is a massive challenge in this age of distraction. When you have an app you can easily remind your customers of your existence, offering them reasons to keep coming back to you for special deals, discounts, and offers. If you think having a website is going to be enough, and you can save a lot of money by only keeping a website for your business. A mobile app adds value to a website, evoking a feeling of trust among the customers who are already familiar with your website and are curious about it. Apps can offer two-way communication – a big edge over websites. Now that you know the major advantages of having a mobile app for your small business, it is natural that you would be tempted to build an app for your small business. However, before you go rushing into taking a decision by only reading about the benefits of having a mobile app, you must ask yourself the following questions and ascertain whether your business really does need an app at all! 1) Did you optimize your website for mobile? If you have ever used a mobile to browse through sites, you must have felt the agony of using a website that is not optimized for mobile. They not only look bad, but also lack in proper functionality. This is why Google began ranking the mobile-friendly websites higher than the ones that are not and it became even more important for businesses to optimize their websites for mobile. Building a no coding app that is low cost can come as a great solution bringing the costs down. Apart from bringing the cost down, building a mobile app gives you a physical presence on the user’s phone and you do not get lost among the numerous bookmarks in a browser. 2) Do you find your existing marketing efforts effective, and satisfactory? 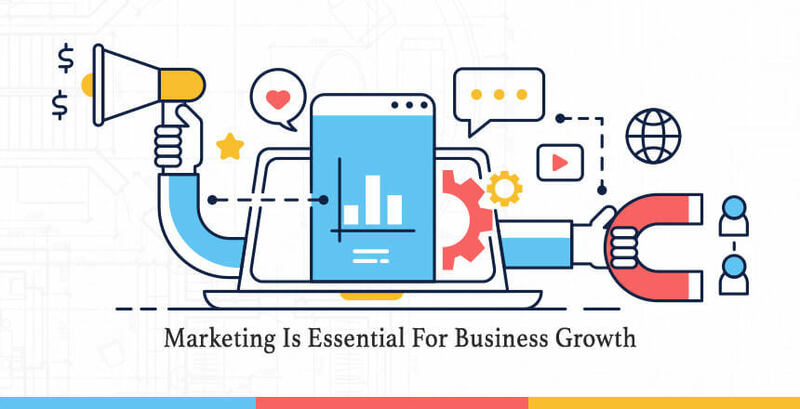 For a small business marketing can be quite a challenging affair because, not only are the channels limited, but there is hardly much of deep analytics or meaningful insights (which the big businesses have access to). If you are going through this challenge, an app can dissolve this for you. An app offers you access to people who have shown some interest in your brand by downloading and installing your app, and you can market your offerings directly to them! In contrast to the limitations of the traditional methods of marketing which largely pay attention to branding only, an app lets you experiment a lot more, with a varied types of marketing techniques whether it is by highlighting specific products and new releases, to offer special offers, deals, and discounts. 3) Have you found out what your competitors are doing? As a small business owner, it is almost a cardinal rule to know what your competitors are up to and of course, it is important to do this even when you are trying to make the decision about whether or not to build a mobile app for your business. In case any of your competitors have already built an app, then you have already lost an edge that you could have had over others and if no one has one, it is the perfect time to gain that extra edge we were talking about. No One Else Has An App – this means that you have a blank slate ahead of you and it is you who would be choosing the features and coming up with something unique for your business category without being influenced by any external factor. All you have to think about is, what your customers and you need. Someone Already Has An App – this means that you have a template in front of you that you can emulate and build an app for your business after making tweaks and improvements in it. It is always advisable that you do not copy! 4) What advantages would the app bring for you and your customers? The ultimate idea behind any business is to get some kind of benefit or profit from it. Every choice you make, every decision you take revolves either around how your customers are benefitting from it, or how you are benefitting from it. These benefits might take some time to show up and it is imperative that you be patient with it, and not give up. Give a reason to your customers to install your app, and then keep giving them other reasons to keep coming back to your app for more. The biggest benefit of getting an app for your business is the amount of engagement that it offers to the customers. 5) Would your conversions be simplified if you could retain your customers’ data? While completing any transaction on an ecommerce portal on mobile, the biggest hurdle that the consumers do not cross often is the tedious process of entering all the information including the billing and shipping address and even the payment details. If your business needs this, then getting an app for your business may add convenience to the whole process eliminating the repetitive process by simply adding a registration feature. 6) Have you put a customer loyalty program in place? If you are offering a loyalty program and benefits to your customers, getting an app for your business is a great idea. A loyalty program on a mobile app ends the ordeal of carrying around a punch card all the time, making it easy for you to extend the rewards, deals, or offers to your loyal members. 7) Do you leverage user-generated content for marketing? User generated content can help you gain popularity in a much shorter time, making you the talk of the town. The best way to employ this feature in your business is through an app that has the provision for your customers to share content (text, photos, videos, etc.) from within your app on all the major social media platforms like Instagram, Twitter, Facebook, or any other platform that is relevant for you. 8) Would your app be able to use the in-built features of the mobile devices? The apps that have the ability to leverage the native features of the mobile device like camera, GPS navigation etc. lend great user experiences making such apps exceptionally popular. This is the single greatest ability of an app that the websites simply cannot match up to. 9) Does your app idea have a clear goal and audience? While it is important that you have a mobile app for your business, it is equally (if not more) important that you have a clear goal for your app. Only an app that has a clear purpose or goal behind it can achieve any measure of success. Having a clear goal gives the app a direction and definable objectives to be achieved. Another important thing to remember is that you must develop the app keeping your clientele in mind. A mismatch between your clients’ expectation from your business, the perception of your brand and the app can prove to be fatal for your app, and even might lead it to failure. It has been some time now that the small businesses had been shying away from building an app for their business and claimed that their clientele were not big on internet. However, now that mobile device penetration is astoundingly high, there is no excuse to stay away from it anymore. Ask yourself the questions above, and it may help you take the plunge and build your own mobile app for business.